First and foremost, the entire staff at RUSI offer condolences to all those affected by the recent, tragic events in Brussels and Lahore. Our hearts go out to the people who lost loved ones, and to the many who were injured. If we are to focus only on ISIL-inspired or directed attacks outside Syria and Iraq, over 1,000 civilians have been killed since January 2015, according to the New York Times. Inside those two countries, the figures are far more dramatic. These terrible atrocities remind us that we still need to improve our understanding of what drives young men and women to join radical groups and commit such appalling acts before we have any hope of a more comprehensive response to the threat. 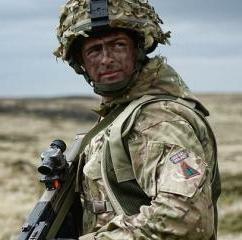 Such a response is likely to include a wide range of lethal and non-lethal tools, from the public and private sectors. This means the military, intelligence agencies, development organisations, financial services, police forces as well as community groups that focus on counter-radicalisation efforts. The recent attacks come soon after the horrific attacks in Ankara and Istanbul. I visited both Turkish cities in mid-March to meet with think-tank colleagues and Turkish officials, and learn more about the many challenges facing the country. While there, I witnessed the resilience of the Turkish people, sending a message of defiance to the terrorists. That common response was once again evident on the streets of Brussels. RUSI experts will be publishing our analysis on the radicalisation phenomenon over the coming weeks as well as continuing our own research. All eyes are now on Daesh (also referred to as ISIS, ISIL or as the so-called Islamic State), which has claimed responsibility for Brussels. While Western governments work to confront its networks in Europe, they are under increased pressure to degrade ISIL capabilities at the core - in strongholds in Iraq and Syria. And it may be that this increased pressure in Syria and Iraq by Coalition forces has caused ISIL to lash out at the periphery, in Europe and elsewhere. Earlier this month, we were fortunate to hear the assessment of RUSI’s senior vice-president and former director of the CIA, General David Petraeus, who offered proposals for how the coalition could fight Daesh more effectively. Highlights of his talk can be seen on our website. We were also pleased to host Dr David Kilcullen, one of the foremost thinkers on counter-insurgency, who gave a frank assessment of the state of the war on terror. Further afield, it has been a busy month for us with senior officials coming to brief RUSI members. 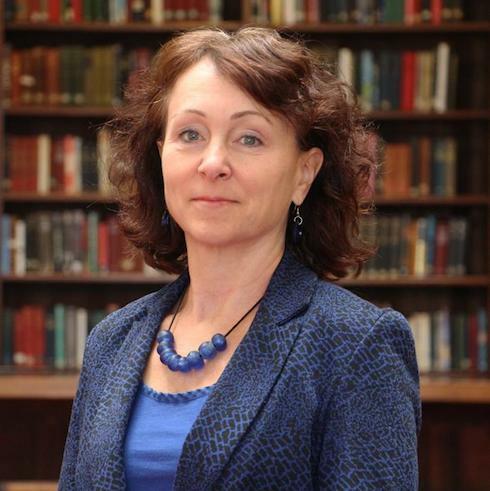 Lynne Owens, the new director-general of the National Crime Agency, highlighted the growing threat from organised crime. On the Middle East, Mohammed Nahavandian, Chief of Staff to the Iranian President, spoke on post-sanctions Iran, while Brigadier-General Ahmed Al-Assiri briefed us on the Saudi-led coalition’s operations in Yemen. 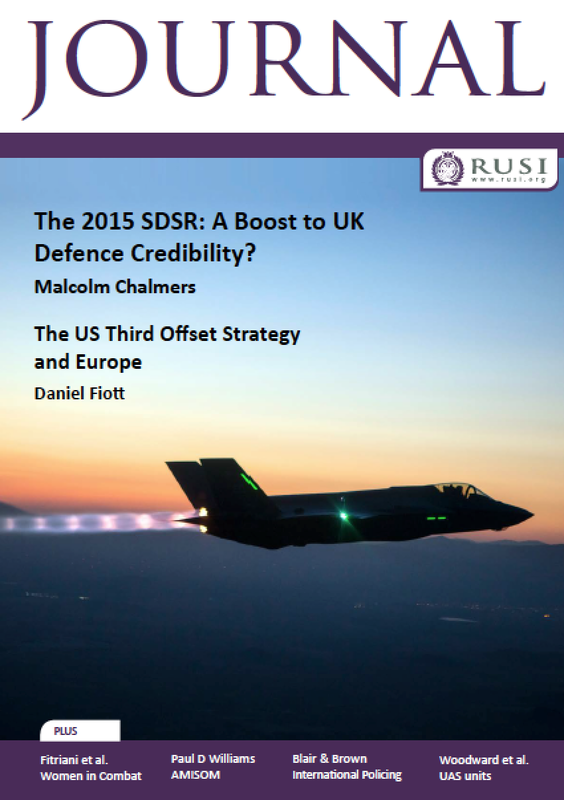 In our publications, the latest edition of the RUSI Journal leads with a feature on the UK’s recent SDSR by RUSI Deputy Director-General Malcolm Chalmers, followed by an article on the implications for Europe of the US third offset strategy. In the March edition of Newsbrief – our bimonthly briefing on current issues in international security – we explore recent developments in South America, as well as Saudi Arabia’s oil pricing and changes in the Russian military. Both publications are available to members. Finally, with the June 2016 EU Referendum coming up, we have scheduled various events to examine different aspects of the debate, while maintaining RUSI’s policy of strict neutrality. We will be updating our events schedule and posting regular briefings at RUSI.org/EUvote. We hope you will join the debate! 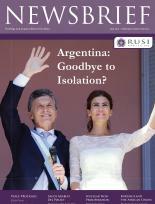 The latest edition of the RUSI Journal features articles on the UK's Strategic Defence and Security Review and the implications of the US third offset strategy for Europe. Published in the month of International Women's Day, the Journal also examines women in ground close combat, and the AMISOM peacekeeping force. In the latest edition we explore recent developments in South America, securing the 'Wider North', as well as Saudi Arabia’s oil pricing and changes in the Russian military. RUSI will undertake a year-long research and training programme, funded by the UK government, in Kenya and Tanzania focused on tracking the illicit funds earned from illegal wildlife trade (IWT). RUSI formally launched a report this month on Chinese and Indian cooperation in Afghanistan. It was the culmination of a three year research project including workshops in Beijing, Delhi, London and Doha. RUSI's Independent Surveillance Review published last year was referenced in the government's Investigatory Powers Bill and cited in debates in Parliament this month. Peter Roberts on Operation Sophia: What steps could EU take? 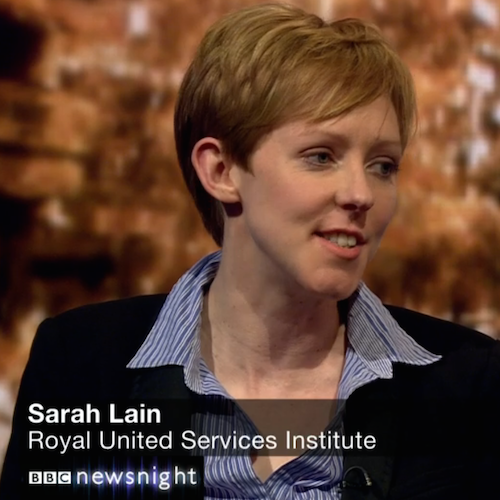 "Russia came into this for strategic reasons…without Assad, Russia loses a lot of influence in the Middle East."